Lord Ganesha is God of New Beginnings and worshipped as the obstacle remover by millions of people worldwide. He is also worshipped as the God of wisdom and prudence. Ganesha Chaturthi rounds the corner which is an annual festival honouring Lord Ganesha. The auspicious festival of Ganesh Chaturthi is celebrated on the fourth day of the Shukla Paksha in the month of Bhadrapad. It is said that on this day, Lord Ganesha was born and declared first amongst the gods. This year 2017 Ganesh Chaturthi is on 25th August. We've hand picked Modern Hindu baby names that're inspired from Lord Ganesha that you can consider while naming your baby boy. 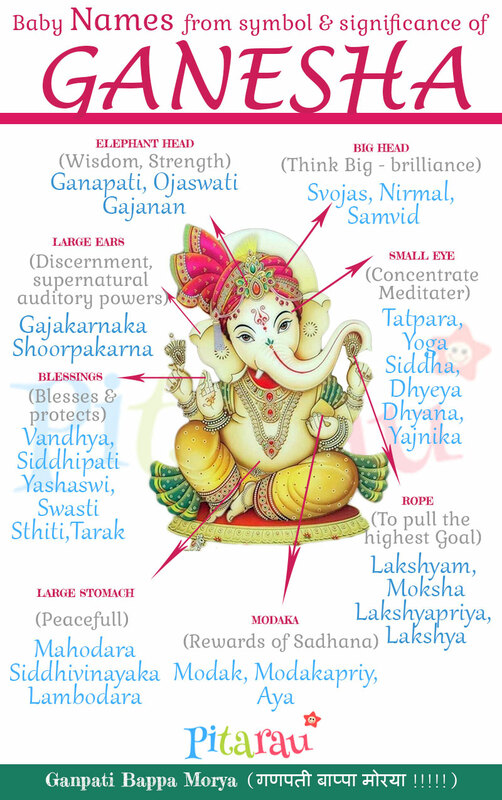 If you are welcoming your baby around this time, it might be good idea to check out these Modern Hindu boy names taken from Lord Ganesha. You may take inspiration from these latest names to find perfect name that you’re looking for.